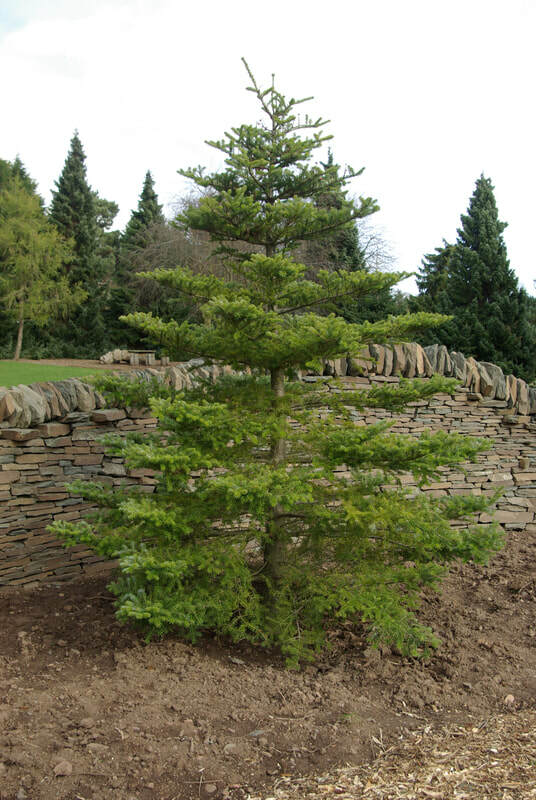 Abies koreana, the Korean Fir is a slow growing medium sized conifer which develops into the most superb specimen. Eventually reaching 10m in height, it has a neat pyramidal form with a straight stem and well-ordered horizontal branches, creating a pleasing symmetrical growth. It has needle-like leaves which are dark green on top and gleaming silvery white beneath, which together creates a lovely contrast. They spiral around the whole stem of the branch. One of the finest qualities of Abies koreana is the large cones that can be found atop of the stems. Growing up to 10cm, they are a bluish purple in colour and best of all they develop on trees from an early age. Originally discovered in the mountains of South Korea in the early 1900’s A.koreana is a tough tree that thrives in cool conditions, growing well in any reasonable, adequately drained soil. Fully hardy.